If you've never heard of the Unicode Consortium, don't worry, most people haven't or at least not until recently. They're a nonprofit that runs a bunch of different standards for the Internet and...they control EMOJIS. 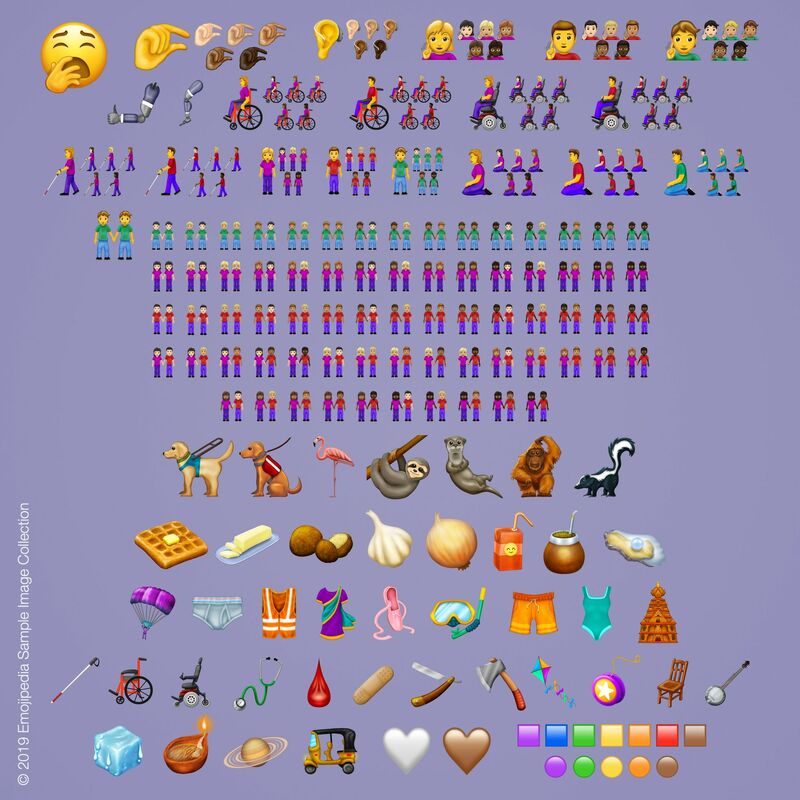 Lots of emojis focused on disabilities, including a deaf person, people in wheelchairs, blind people using walking canes, Seeing Eye dogs, and mechanical arms and legs. New animals...including the flamingo, sloth, and skunk. New foods...including a waffle, butter, onions, and a juice box. And a hand making a pinching gesture . . . which everyone online is calling the "tiny unit" emoji. Get ready to send this to anyone who shoots you an unsolicited junk pic. Check out all the new emoji's here.